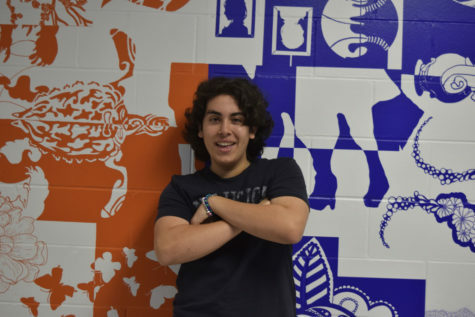 Gabriel May is a junior, and this year is his first year in journalism. He is on the baseball team as well. His favorite thing to do is go the beach and hang with his friends. His favorite NFL team is the Chicago Bears and his favorite college football team is the Florida Gators. He would love to go to the University of Florida and maybe one day become a sports medicine doctor. His goal for this year is to end with a 3.8 GPA.